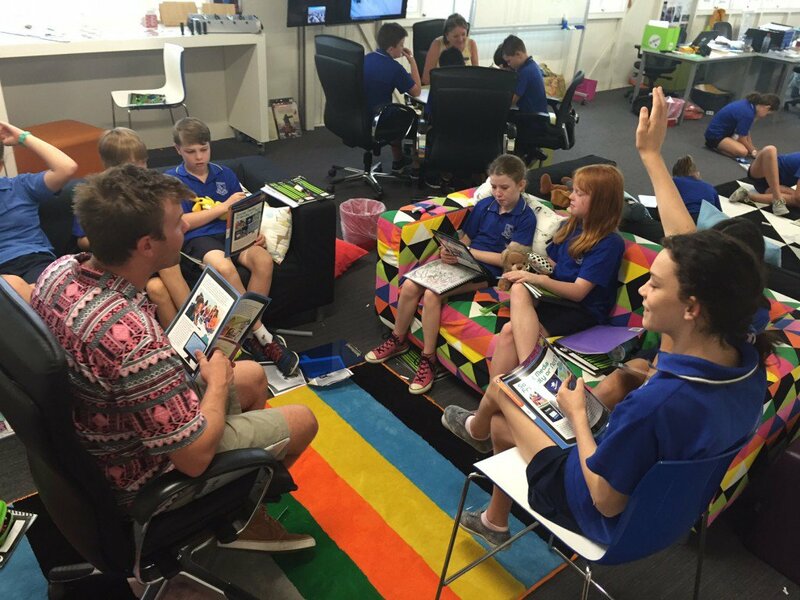 Flexible or open learning spaces are hard work. It is a challenge for teachers to adapt their practices, it is a challenge for students to adapt their behaviour. The benefits are unparalleled though, and can be translated back into any learning space. if one or two teachers have developed a unit which is online, all aspects of a great lesson can be online and available not only to students, but also to teachers. behavioural expectations can be set up for an entire group of students, teachers with different abilities to manage student relationships (behaviour) are supported by the development of a culture that is greater than the individual class culture they could have produced. The notion of the classroom teacher becomes quite fluid – any teacher can take any class and still produce positive learning outcomes. Experts and Special Needs teachers can enter the learning space and not be a distraction to students. Special Needs teachers can work not only with students, but also with teachers. Teachers who typically remain content experts can transform into facilitators as they learn to communicate in ways that are developmentally appropriate. Teachers working in teams provide a richness of experience for students and for each other. 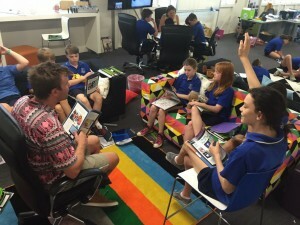 The connections between learning spaces and learning outcomes: people and learning places? Learning Spaces in Higher Education: Positive Outcomes by Design.